“Nonviolent communication” is a concept introduced by Marshall B. Rosenberg, Ph.D. in his book Nonviolent Communication: A Language of Life. It’s often referred to as compassionate communication. Put it simply, it’s a communication style that empowers individuals to be positive and support each other. In this article, we’ll discuss the concept in greater detail, what it emphasizes, and how you can integrate it in everyday communication. Nonviolent communication emphasizes communication skills that truly foster compassion between the communicators by consciously relating themselves to others and be mindful in the opportunity to work together favorably. The aura of this type of communication is positivity, rather than negative feelings and behaviors. It’s not about getting people to do what we want. Instead, it opens the channels of communication to be useful and positive toward each other humanely. The quality of communication matters the most, and when an action is done, it’s performed with a lot of compassionate and mindful giving and receiving. This being said, nonviolent communication requires us to focus on what we and others have, connect our thoughts and feelings, and be mindful of each other’s needs and wants. Thus, the language is free from blaming, defensiveness, and demanding. In other words, it’s free from any expectation, as we let others think and behave as they please –positively. 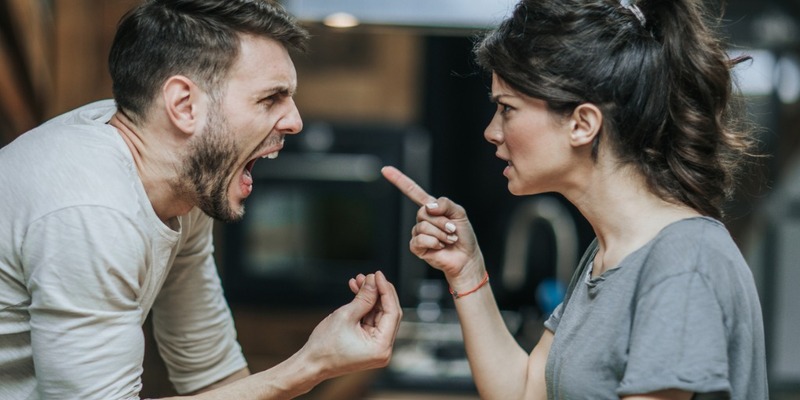 Here are eleven tips in incorporating nonviolent communication in your daily connection with others. Third, don’t judge, criticize, blame, and punish. Fourth, understand, trust, and be empathetic. Fifth, request politely and clearly without demanding nor blaming. Sixth, be responsible with what you say and how you behave. Seventh, be conscious and mindful at all times. Eighth, show kindness and compassion from the heart. Ninth, be open to negotiation positively. Tenth, accurate understand how other people feel. Eleventh, be patient and have no anger or any other negative feelings. Once you’ve mastered these 11 tips, you would be able to show a higher level of communication skills. After all, a master communicator isn’t someone who talks for others to get things done, but to inspire others to get things done with their own intention. Nonviolent communication allows others to grow genuine empathy, compassion, and trust in you. And as a result, you’d reap the positive branding and other benefits. Oprah Winfrey and Larry King are to mention two of the most successful nonviolent communicators. They can get things done with communicating through others’ triggered intention to follow through. You can integrate those 11 tips in everyday communication quite effortlessly. The key is practice, practice, and practice. Be mindful of what you say and do. And remember always to think first before you say anything. After all, the best communicator isn’t the one who tell others to do things but to make them want to do things. And the things they do are humane, compassionate, and beneficial for all with positive intentions, such as the betterment of humankind without sacrificing the benefits for the communicators. 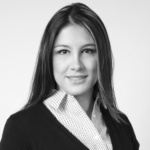 Fabiola Gonzalez is a Partner at Brakston Grey, a division of Alder Koten that focuses on high potential professionals and managers on a development path for executive positions, and oversees Brakston Grey’s office in Monterrey, Mexico. Fabiola’s work focuses on discovering the best high potential talent on the management and executive development path. Prior experience in executive search includes working at Korn Ferry International – Mexico. She has performed search work in the consumer products, restaurant and hospitality, automotive, construction, financial services and transportation industries. Her professional experience also includes human resources and recruiting positions in the technology and staffing sectors. Fabiola holds a bachelor’s degree in psychology from Universidad Regiomontana in Monterrey, Mexico and is fluent in English and Spanish. Alder Koten helps shape organizations through a combination of research, executive search, cultural & leadership assessment, and other talent advisory services. The firm was founded in 2011 and currently, includes 6 partners and over 28 consultants in 4 cities. The firm’s headquarters are located in Houston and it has offices in Guadalajara, Monterrey, and Mexico City with partner firms in New York, Boston, Chicago, Australia, Belgium, Brazil, Canada, Chile, China, Denmark, Finland, France, Hong Kong, Italy, Germany, Netherlands, New Zealand, Norway, Poland, Russia, Spain, Sweden, Switzerland, Turkey, and United Kingdom. We know where to find the executives you need and how to attract top talent to your organization. Our approach to executive search is based on a thorough understanding of the strategic, cultural, financial and operational issues our clients face. Our executive search engagements are targeted and focused on the specific requirements of the position including industry and functional experience, skills, competencies, cultural fit, and leadership style. Our process is rigorous. We take a disciplined and structured approach to identifying potential candidates that meet the position requirements including subject-matter, functional and regional expertise. We use our high-level professional networks, industry knowledge, and internal research resources to achieve results in every executive search engagement.